We offer two different constructions in this product group. 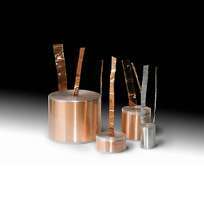 Metal foil, paper in oil capacitors for top performance and ultimative sound quality with aluminium, tin or copper foil and cost effective oil impregnated metallized paper capacitors offering higher capacitance in less space. High quality mineral oil impregnated paper capacitors with copper, tin or aluminium foil electrodes, axial performance for crossover filters in loudspeaker systems. 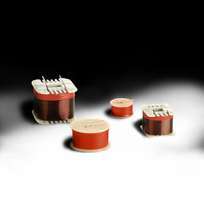 Construction: Type MPA are metallized capacitors of high quality, impregnated under high vacuum. 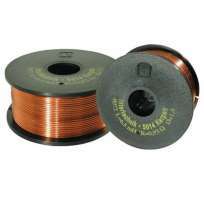 Hermetically sealed in aluminium tubes with axial tinned copper leads. If dielectric faults should develop due to conducting particles, or if a momentary surge of voltage should puncture the dielectric, self-healing property functions to clear and isolate the fault. 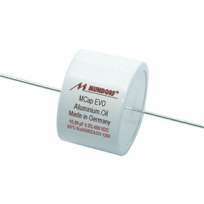 The capacitor then continues to operate normally in the circuit without interruption. Radial performance in aluminium can are available on request. 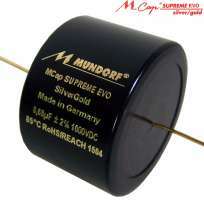 The capacitors are supplied with an insulation sleeve, but in applications where the sleeve distorts the sound, we can deliver without sleeve.